Does St. Petersburg have a subway system? Yes, St. Petersburg has en excellent subway system. In Russia, the subway is called metro, just as in France, and the metro in St. Petersburg is the second-largest in the whole country – only the one in Moscow is bigger. 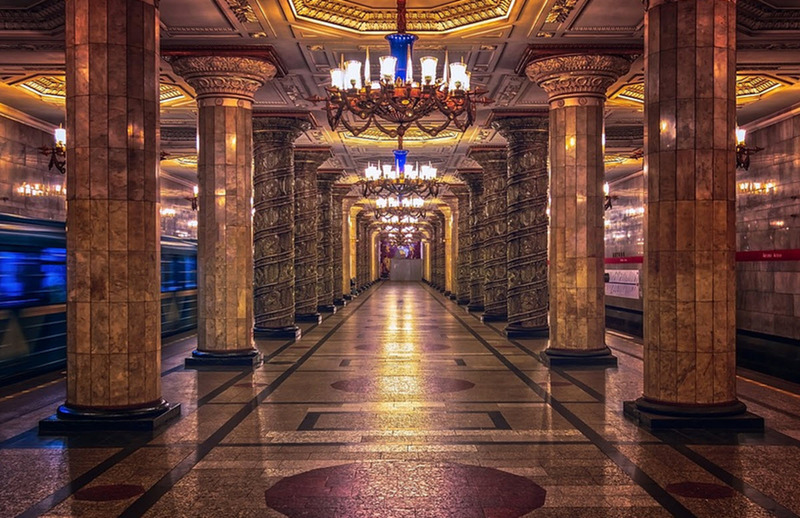 Just as in Moscow, the metro in St. Petersburg features some very beautiful and ornately decorated metro stations that are well worth a visit in themselves. Using the metro is an efficient and cheap way to get around in St. Petersburg, and the system isn’t very difficult to understand. Also, by using the metro instead of taxis, you will be less impacted by the notorious rush hour road traffic in the city. The metro trains can be very crowded during peak hours, but they don’t grind to a halt like the road traffic can. How do I buy a ticket for the metro in St. Petersburg? 1 How do I buy a ticket for the metro in St. Petersburg? 2 Do I have to pay extra for my big luggage? 3 Where can I get a St. Petersburg subway map? 4 When does the metro system close at night in St. Petersburg? You can pay for your fare in several different ways, e.g. by inserting a special brass token into the turnstile slot or by tapping a smart card on the white circle near the turnstile. A Podorozhnik smart card can be purchased from a machine at the metro station or from the cash desks, but the turnstile card reader also accepts Mastercard PayPass and VISA PayWave cards. Important: The costs listed below were correct when this article was written, but we recommend that you double-check right before your trip to St. Petersburg, since they might have changed. Pay for a single fare. At the time of writing, this cost 45 RUB. Buy a multi-trip pass. There is for instance a 10-trip pass for 355 RUB; valid for 7 days. The Podorozhnik smart card can be used to pay for trips with both the metro, bus, trams and trolleybuses in St. Petersburg. You simply swipe it over the card reader. You fill the card with a selected amount of cash, and can refill it later as needed. It’s a cash card, so if you lose the card, you lose the cash. Important: Private bus routes, including the Marshrutki, do not accept the Podorozhnik smart card as payment. 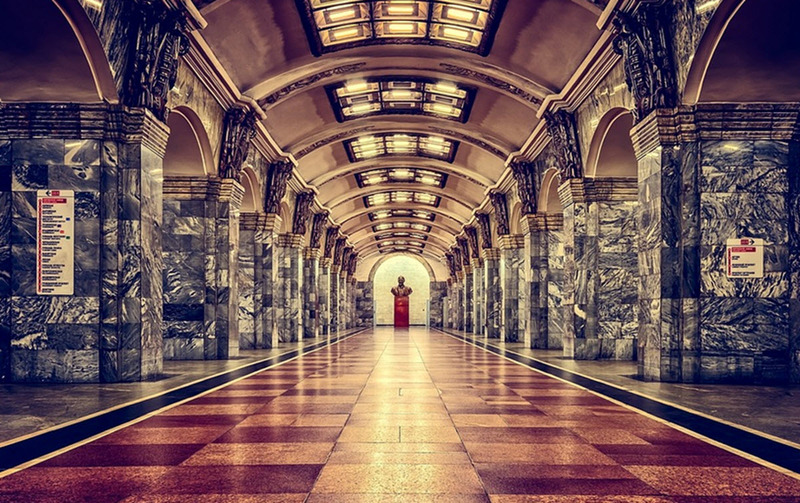 Important: The Troika smart card for the Moscow metro is not valid in St. Petersburg. Do I have to pay extra for my big luggage? Yes, if you have large luggage, you must pay extra for it. Where can I get a St. Petersburg subway map? Maps are available at metro.spb.ru. Every metro car has a map in it, and the station names are written in both the Russian alphabet and the Latin one, so don’t worry if you don’t know Cyrillic letters. Latin-alphabet station names are also prominently displayed at the stations. When does the metro system close at night in St. Petersburg? Both opening and closing times vary depending on the station and date, and the same is true for the departure of the first and last train. Generally speaking, it is common for stations to close at midnight or at least before 1 am, and open again at 05:30. For more detailed information, visit http://www.metro.spb.ru/en/rejimrabotystancii.html.